A federal judge’s order that the FBI conduct a line-by-line review of documents on radicalized American imam Anwar al-Awlaki’s role in an attempted 2009 airline bombing forced the agency to release hundreds of historically significant pages. The documents were initially requested by New York Times reporter Scott Shane, then working on a book about Awlaki – “the first American citizen deliberately killed on the order of a president, without criminal charges or trial, since the Civil War.” The FBI refused to release them, at which point the paper sued. Two years later, the agency was forced to release the records – FBI interviews with Umar Farouk Abdulmutallab, an al Qaeda operative convicted of attempting to blow up a flight to Detroit on December 25, 2009. The interviews are significant for a number of reasons. First and foremost, they “suggest that the Obama administration had ample firsthand testimony from Mr. Abdulmutallab that the cleric oversaw his training and conceived the plot.” The documents also bolster arguments by experienced interrogators that torture is not useful or necessary to extract important information from suspects; the detailed descriptions interrogators were able to glean of the al Qaeda compound in Yemen provided by Abdulmutallab “were so precise that it is likely they have helped shape targeting decisions in the American drone campaign” there. In 2015 Shane compiled and edited “The Anwar al-Awlaki File” for the National Security Archive – a posting containing 22 documents obtained under the FOIA that sheds significant light on the American government’s knowledge and understanding of the cleric. 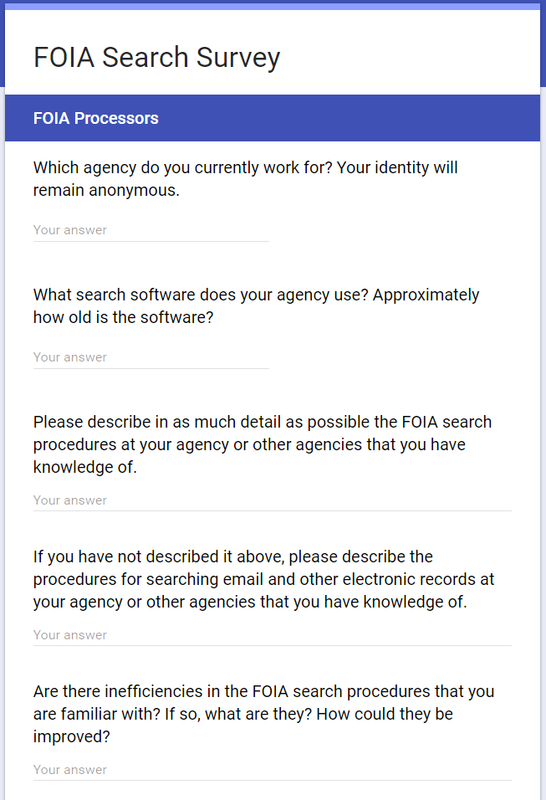 How Does Your Agency Conduct a FOIA Search? The Memory Hole’s Russ Kick recently posted a photo of a FOIA response from Customs and Border Protection giving him only five days to respond to a “still interested” letter before closing the request, which concerned Trump’s January 27 Executive Order on immigration. In other words, the CBP is issuing “still interested” letters with an absurdly short response time for FOIA requests that are, at most, 27 days old. CBP’s letter is also in violation of guidance issued by the Justice Department’s Office of Information Policy (OIP) in July 2015, which clearly requires agencies provide requesters a reasonable amount of time to respond to a still interested letter (30 days at a minimum). U.S. District Judge James E. Boasberg is upholding the State Department’s use of FOIA’s exemption 5 – the deliberative process exemption – to withhold agency discussions about Hillary Clinton’s emails in a FOIA lawsuit brought by Judicial Watch. In the ruling Boasberg found, ““A document sheds light on misconduct when it ‘reflects any governmental impropriety,’ but not when it merely reflects a ‘part of the legitimate government process intended to be protected by Exemption 5.’” Judicial Watch has not yet announced if it will appeal the decision. A 2014 General Services Administration Office of Inspector General report found that sensitive building information – which could be employed in attempts to damage people or property – was available to individuals without a need to know. – Security and mail screening procedures for a National Nuclear Security Administration campus. 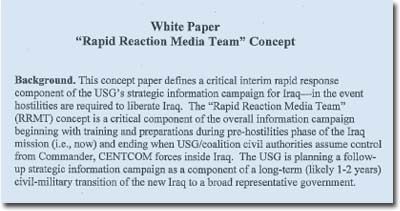 The report was released in January 2017 because the vulnerabilities “no longer exist,” and is one of a dozen new additions posted in the National Security Archive’s Cyber Vault on Wednesday, February 22. FOIA-released records obtained by USA TODAY show that “Officials at a federal training facility that mistakenly exposed thousands of first responders to deadly ricin toxin were worried five years ago that their vendor had shipped the wrong type of powder.” Alison Young reports that FEMA and the Department of Homeland Security are currently investigating the incident, which FEMA blames on a vendor whose identity is redacted from the released documents, but notes there’s been no explanation why it took FEMA so long to spot the potentially lethal problem.